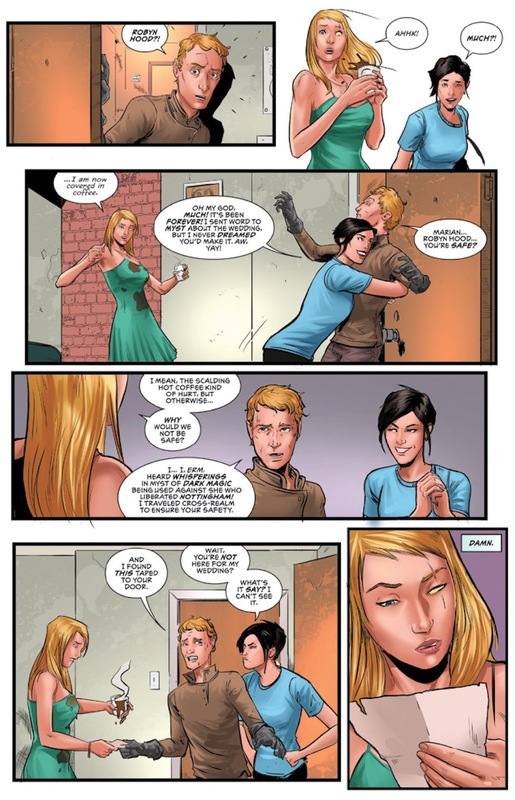 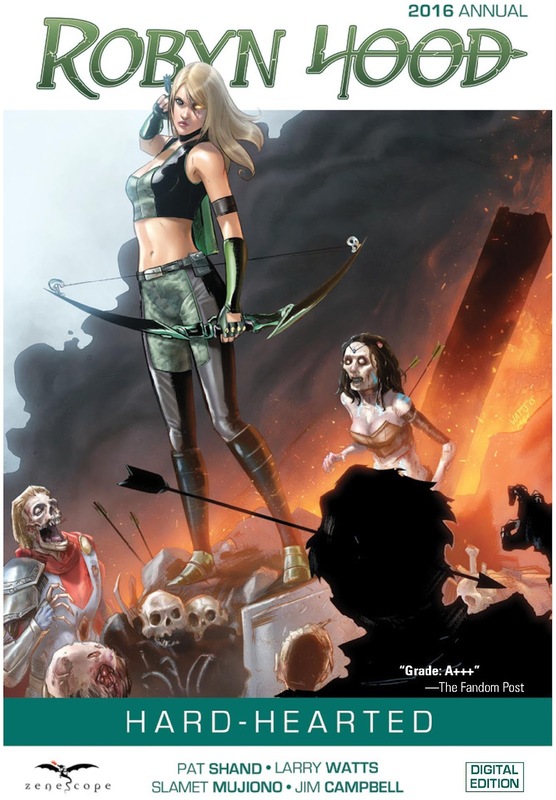 The Fellowship has obtained a first look at ROBYN HOOD ANNUAL #1 from Zenescope Entertainment. 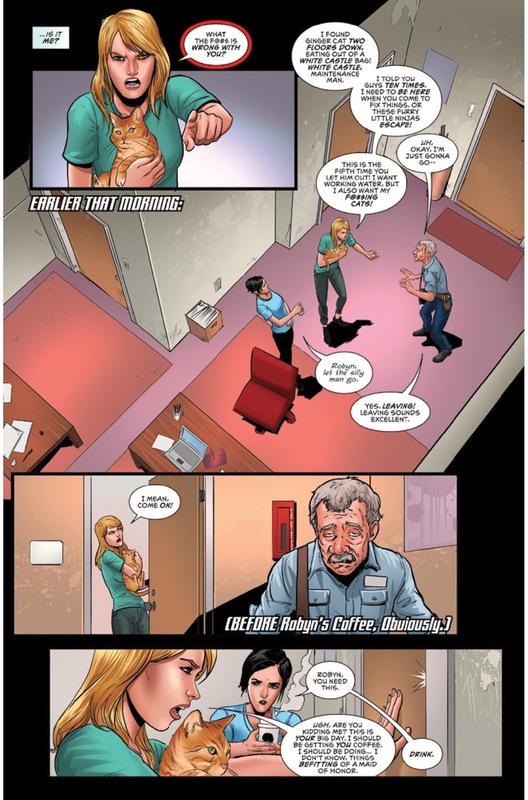 The issue, which hits stores May 25th, is written by Pat Shand with art by Larry Watts, colors by Slamet Mujiono and letters by Jim Campbell. 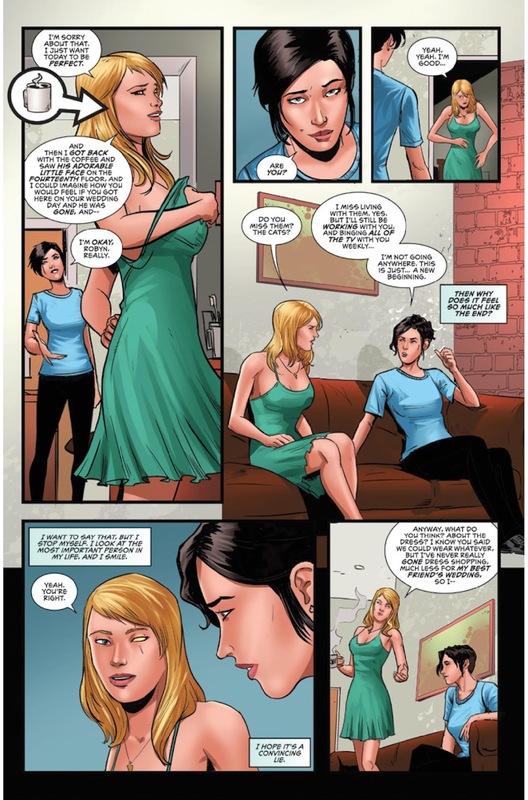 After four years, long-time writer Pat Shand is finishing his run on Robyn Hood with a special issue celebrating Robyn Locksley, Marian Quin, and all of the friends and foes that have joined them on this journey. 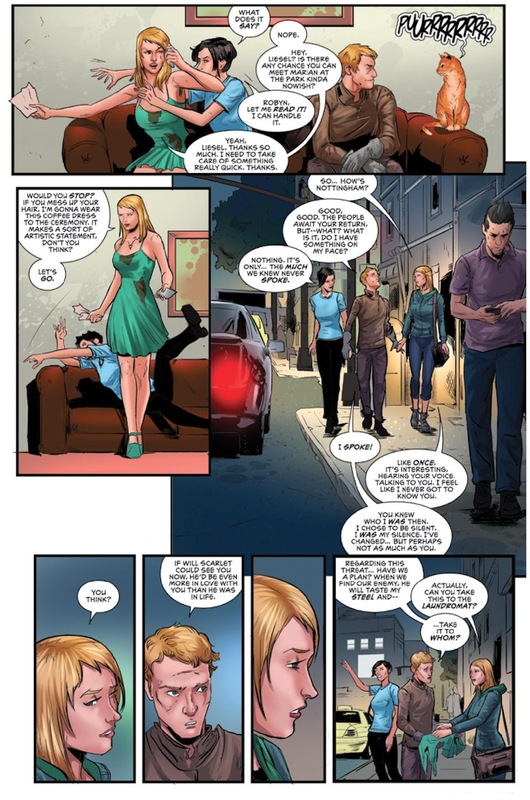 Larry Watts, original artist of the Robyn Hood trilogy, returns for this final tale that cuts to the core of what Robyn has gone through, what she is, and what's next for her.